The history Channel's "United Stuff of America" TV show told the same story. Then another History Channel program told the story again. "Brad Meltzer's Lost History" told the same story, but their version had the Cadillac as an early 1930s model, which they claimed was now missing. 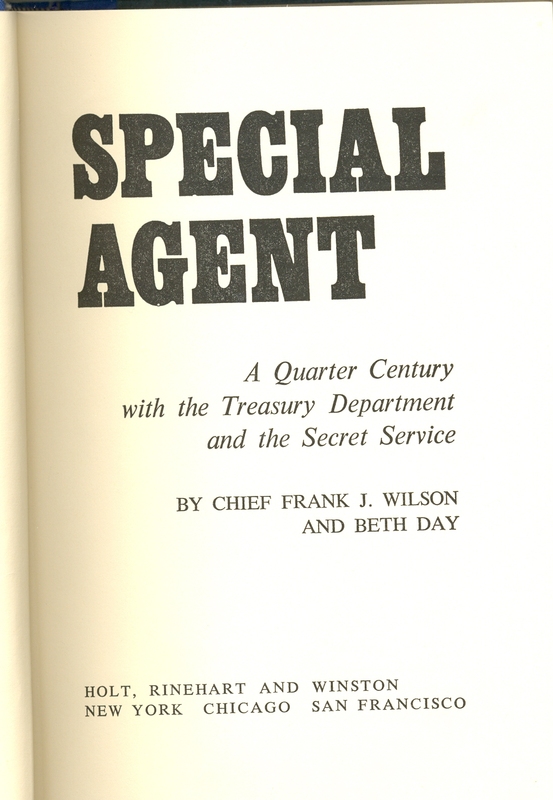 The source of these stories come from books written by two Secret Service agents: Reilly of the White House, by Michael F. Reilly as told to William J. Slocum and Special Agent: A Quarter Century with the Treasury Department and Secret Service, by Chief Frank J. Wilson and Beth Day. When I first heard the story, I thought it was very odd. 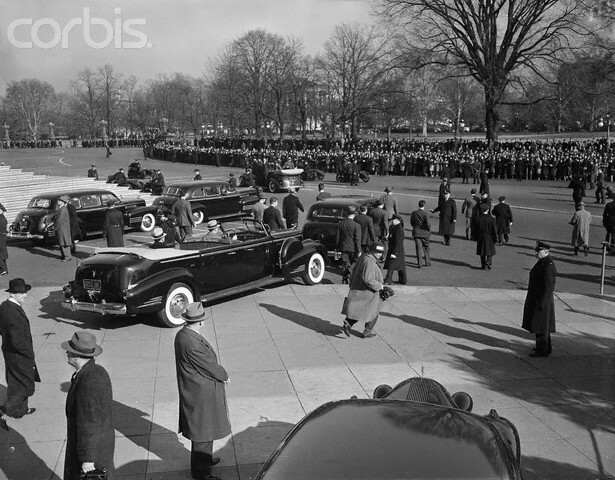 To me, Roosevelt would have looked ridiculous riding to Capitol Hill in Al Capone’s 13 year-old Cadillac. What President today would ride around in John Gotti’s car? I decided to research this story because I knew that, in the 1930s, the IRS had failed to confiscate Capone’s Miami mansion because he had no property in his name. So how could the IRS have confiscated one of his Cadillacs? 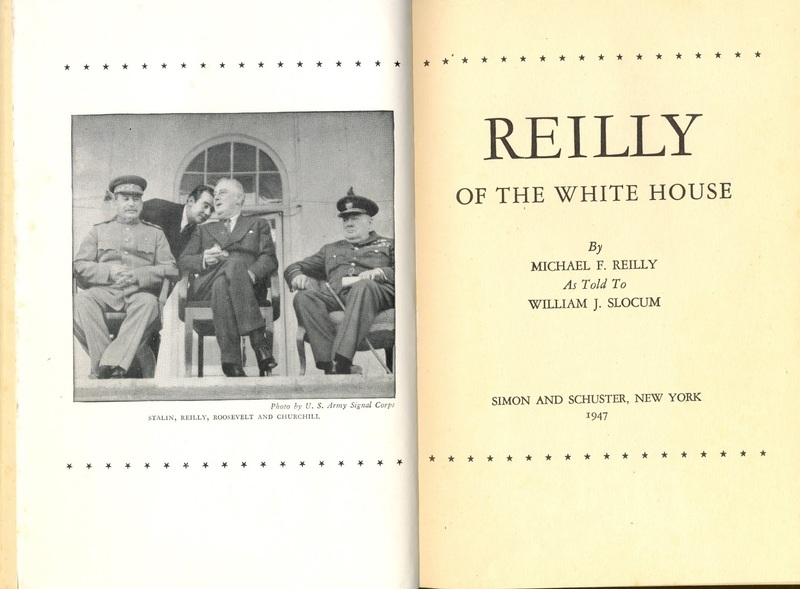 I started with the staff at the FDR library. 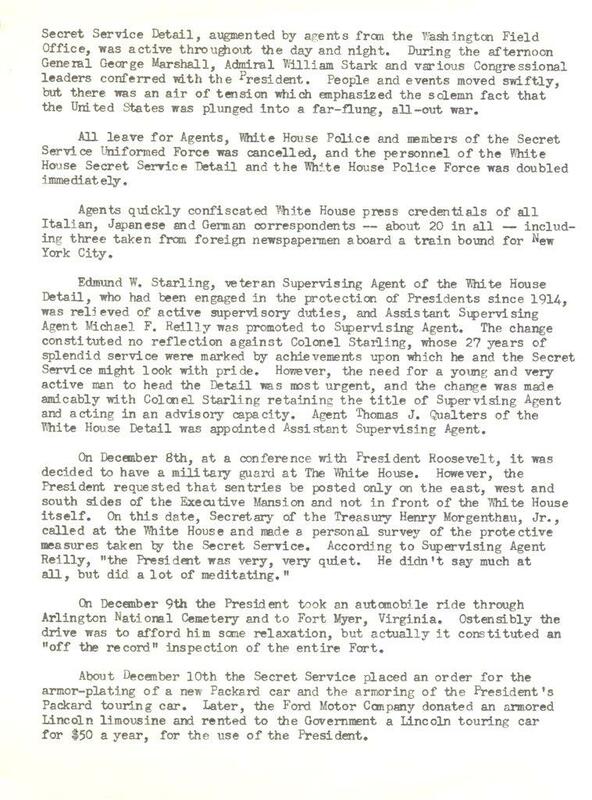 Their only knowledge was the reference in Michael F. Reilly’s book, which clearly states that FDR rode in Capone’s car on December 9, 1941, not December 8th, when he went to the Capitol Hill to declare war. 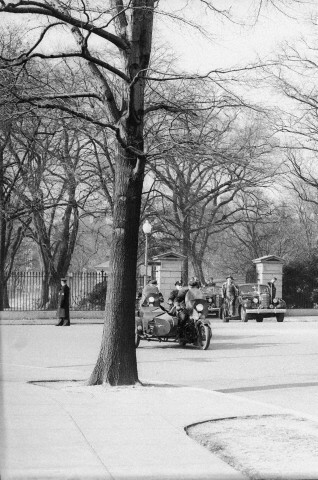 Note that there is no 1928 Cadillac shown in the photos. 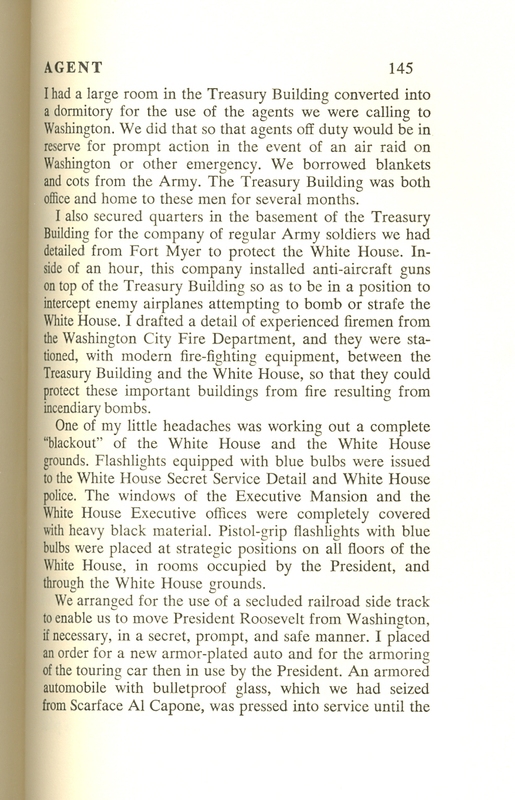 Michael also sent a chronicle of some of FDR’s activities following the bombing of Pearl Harbor. There was no mention of the car in those notes, either. 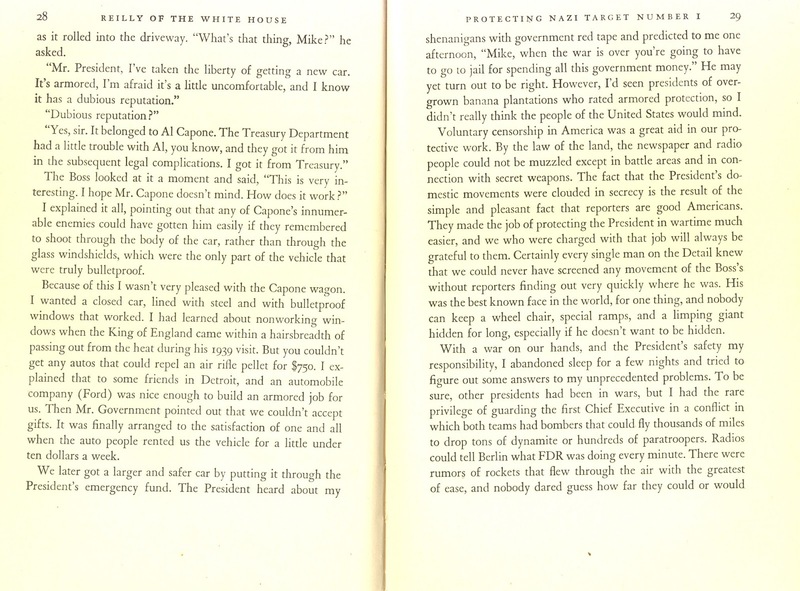 I asked Michael for records showing that Capone’s armored car had been confiscated by the IRS. 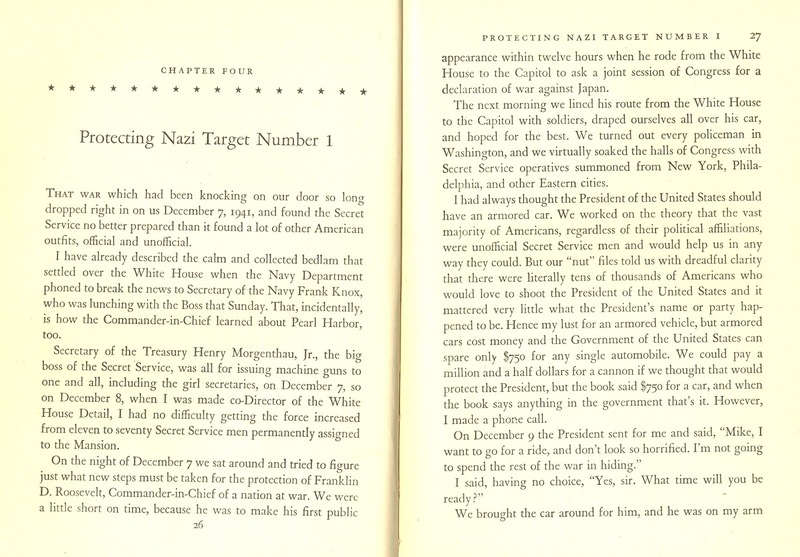 He sent me to the National Archives in College Park, Maryland, but they had no records. From there, I was sent to the Chicago National Archives, where Capone’s tax trial records are located. Like the College Park office, Chicago said they had no knowledge of Capone’s property being seized by the IRS. After that, I began to trace records of transactions through auction information. I discovered that Capone’s 1928 Cadillac was actually sold in 1932, and was not in the United States in the 1940s. I also found auction information for Capone’s 1927, 1931, and 1940 Cadillacs. None were confiscated by the government. Here’s a list of the 5 Cadillacs said to have been owned by Capone. 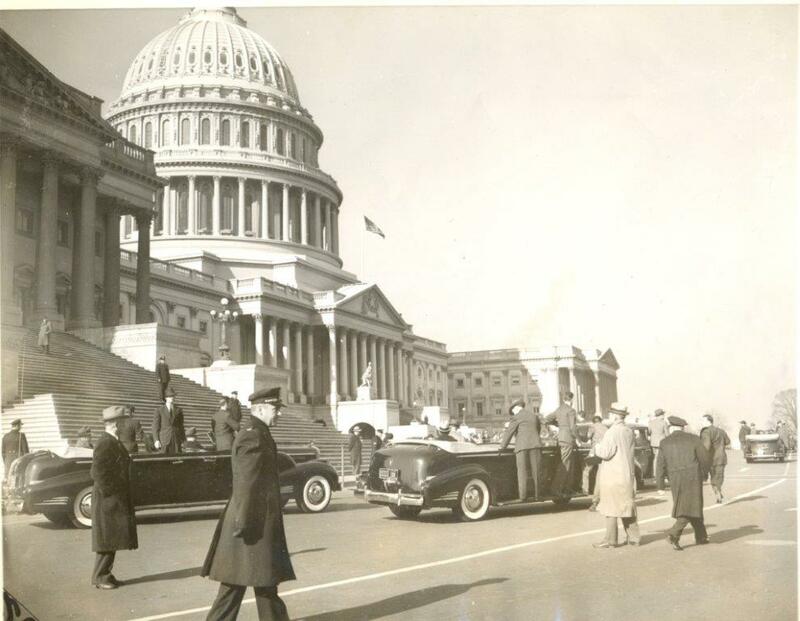 “A recent United Stuff of America show reported that FDR rode to the Capitol in Al Capone’s 1928 armored Cadillac on 12/8/1941, when he declared war on Japan. 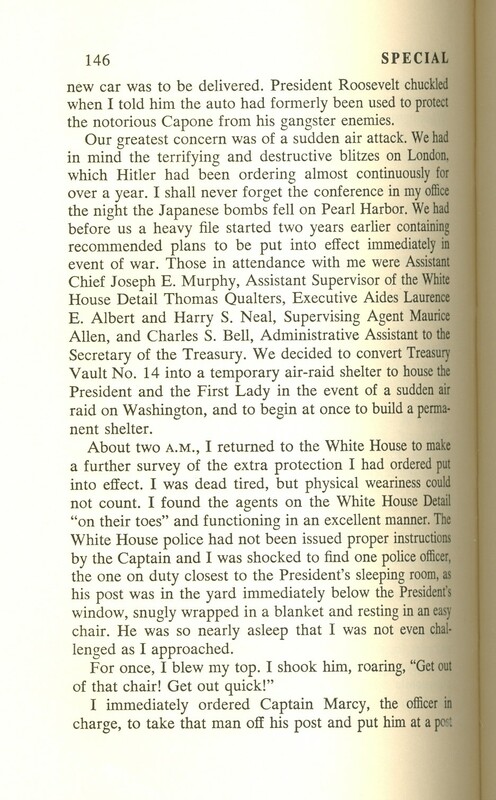 I have researched this thru the Secret Service, IRS, & National Archives, & can find no truth to the story, which seems to originate in 2 “as told to” books. Capone’s property was not seized: nothing was in his name. 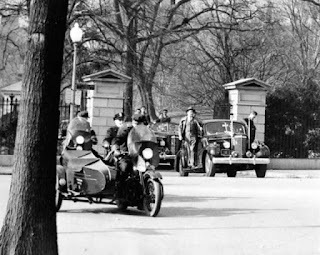 I can find no images of FDR riding in Capone’s car. Auto handlers R&M Auctions’ website says the car was not in the US in 1941. Is there someone I can talk with about the story?" The History Channel never replied. I wonder how long this tale will be told. I can't believe how through your investigation was.